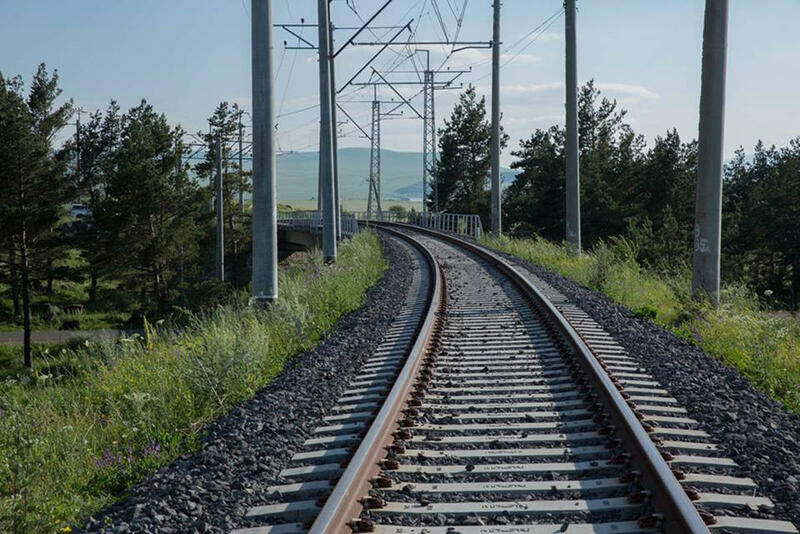 The construction of the railway line between Turkey’s Kars city and Azerbaijan’s Nakhchivan Autonomous Republic has been launched, Turkish ambassador to Azerbaijan Erkan Ozoral told Trend on Nov. 6. Ozoral added that the work in this direction is carried out within the Baku-Tbilisi-Kars (BTK) project. "We consider Kars as a logistics center, which is being built," he said. "It is difficult to say at what stage the construction work is now, but most likely it will complete in the next two years. The work is currently underway to continue the BTK project. The issue is the extension of the railway line from Kars to Nakhchivan and the work in this direction has already been launched." The ambassador said that BTK railway is a link between Turkey and Europe. "Presently, cargoes are transported from Kazakhstan to Turkey’s port of Mersin via BTK," he added. "Some cargoes are shipped from Russia to Turkey and Europe." "It is difficult to disclose the volume of freight transportation in the future, but I can say that the potential will be fully used," Ozoral said.